We are pleased to announce that the INNOFORM® Trade Fair has established cooperation with Raven Media Sp. z o.o., publisher of the "MM Magazyn Przemysłowy" Magazine. 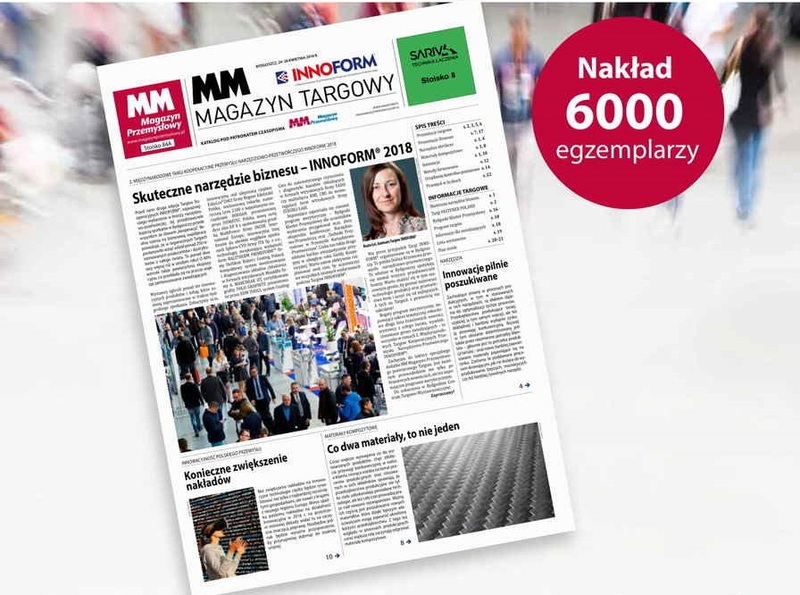 The result of our cooperation will be a special edition of "MM Magazyn Targowy INNOFORM®". This formula has proved very well in Poland and abroad as an attractive medium for both exhibitors and visitors. It is not only a professional guide to the trade fair, thanks to which every visitor receives complete information about this event. This publication also includes a plan of the fair including a list of exhibitors and a map of the location of individual stands, descriptions of the most interesting products presented at the fair, industry reports, technical articles and technical innovations.